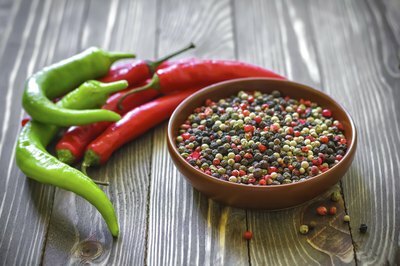 When to Pick Cayenne Peppers? 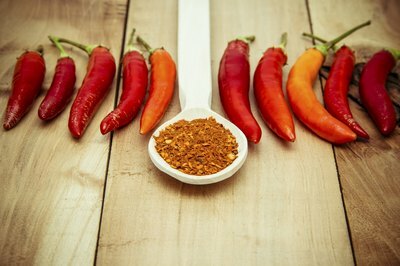 Many home gardeners are now planting their own cayenne pepper plants in their backyard gardens or in pots on their patios. The plants are very handsome and when the peppers start changing from green to red, the display is very striking. You will want to know when the best time is to harvest these fiery peppers for the best flavor and texture. Once the summer warms up and the real hot days start baking the garden, your peppers will thrive and grow. Beautiful white flowers will be adorning your chili pepper plant. Pretty soon, little thin peppers will be hanging down. Resist the urge to pick them when they are only a couple of inches long. Usually around August, they will have matured and should be about 4 or five inches long with a firm and dark green skin. You can harvest a few of these for a mild pepper flavor without much heat unless you use the seeds in your preparation. After you have let the dark green peppers just kind of hang out in the garden for a couple more weeks, you will notice that they are changing color at the tips, going from green to orange/red. This is one of the best times for picking the cayenne peppers to use as a fresh vegetable as the flesh is still firm and the seeds are packing some serious heat. 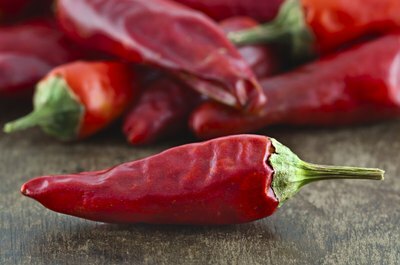 Before you know it, the cayenne peppers that you left to ripen on the plant will be a bright red and still quite plump and firm. The flavor will have mellowed a little from the previous stage but the peppers will be slightly sweet and fruity with a serious heat. At this stage, most gardeners pick their peppers and thread them up to dry for use during the fall and winter. 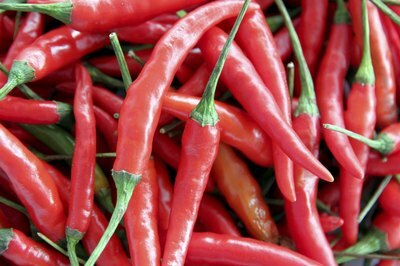 You will find that one pepper plant usually produces enough cayenne peppers for one family. How Much Water Do Bell Pepper Plants Need?